Coach Carl and Coach Weldy attended the 2018 SHAPE (Society of Health and Physical Educators) Conference in Kissimmee, FL on October 29 and 30 of 2018. The coaches attended various workshops and seminars for professional development. 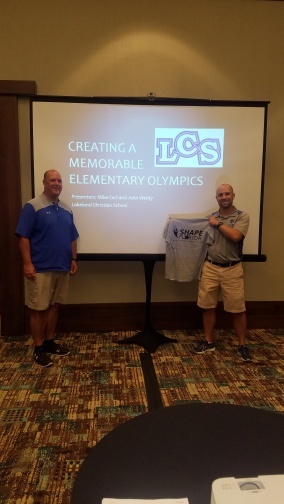 They also presented a seminar on “Creating a Memorable Elementary Olympics.” There, the coaches communicated to other PE professionals the process they go through to have a successful Elementary Olympics at LCS.